WorldStage has brought Richard Steinau and Jeffrey Jayne onboard as Vice President of Business Development and Senior Account Manager, respectively. As Vice President of Business Development, Richard Steinau will be responsible for overseeing the activities of the WorldStage sales force as well as developing sales opportunities with new clients directly. For the past eight years Steinau has served as Executive Vice President at AV Concepts where he led nationwide business development and sales and marketing teams. Earlier he was General Manager at Xnergy’s Service Division responsible for healthcare, high-tech and pharmaceutical firms throughout Southern California and was Regional Vice President, Sales for GES Exposition Services. Jeffrey Jayne joined WorldStage as Senior Account Manager. 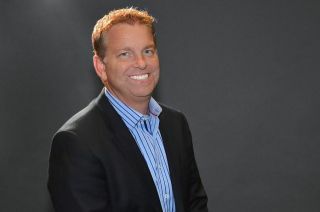 He was most recently Managing Partner of Georgia-based Sangfroid Enterprises, LLC; prior to that he spent 15 years as Principal and Vice President of Sales and Marketing at Corporate Image Associates, Inc., and National Director of Sales for Show Solutions. Steinau spent ten years at Mediq/PRN, a leading medical equipment distributor, rising to become Director, Corporate Accounts. He was Director, International Sales at QUALCOMM, the global wireless giant; Vice President, Healthcare Systems at ARAMARK; and Regional Vice President, Sales at GES Exposition Services, the second-largest tradeshow production company in the U.S.